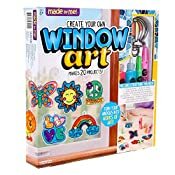 Unleash your creativity and transform your windows into works of art with the Made By Me Window Art activity kit! 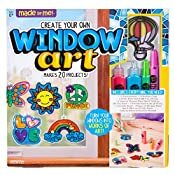 With 12 suncatcher shapes, 8 vibrant window paints and an acetate sheet to create personalized window clings, this kit makes for the perfect rainy day craft or group activity. 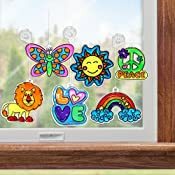 When you’re finished painting suncatchers, trace the illustrations from the included design booklet onto the acetate sheet, or create your own personalized designs. 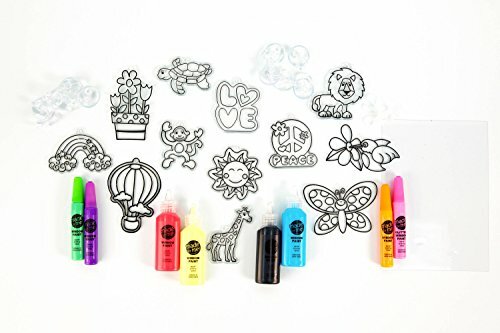 Display your colorful suncatcher creations using the included cording and mini suction cups. 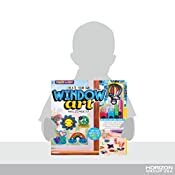 The suction cups easily attach to windows, mirrors and other glass surfaces. 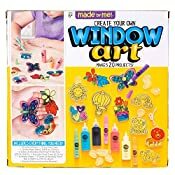 The Made By Me Window Art activity kit is a great gift for crafters ages 6 years and up!